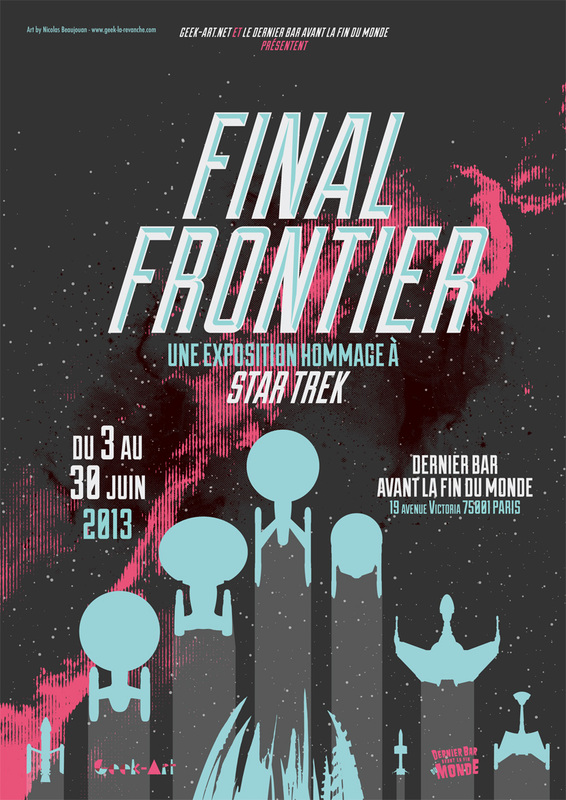 I am extremely proud to announce my participation in the exhibition "Final Frontier" to celebrate the release of the new Star Trek by JJ Abrams! The latter is organized by the master & commander of Geek-Art.net, Thomas Olivri, and will be held at Le Dernier Bar avant la Fin du Monde in Paris! 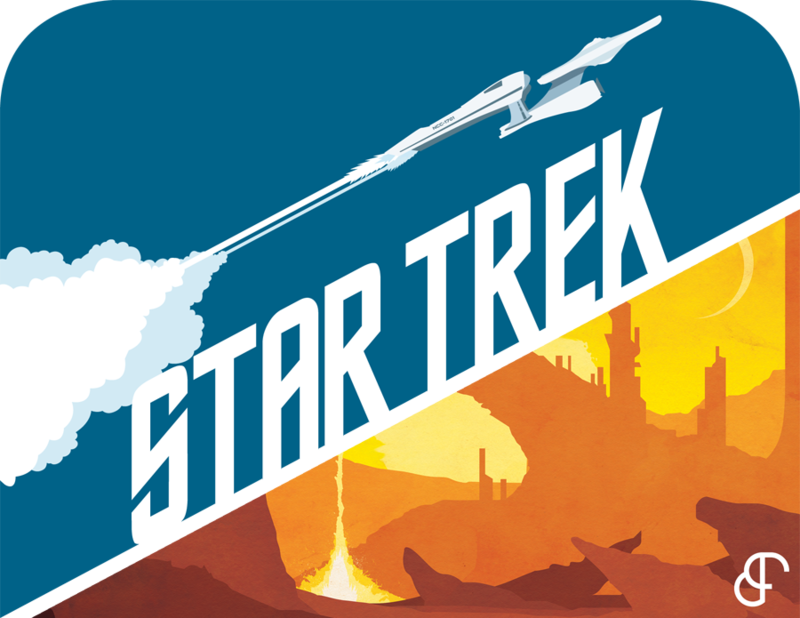 You can get there from June 3 to 30 and see twenty works of different artists around the world, but especially my contribution to this major work that is Star Trek! Stay tuned for more information! ma contribution à cet œuvre majeure qu'est Star Trek ! Restez connecté pour d'autres informations ! More informations here / Plus d'infos par ici !